There has been a lot of discussion about black women and appropration lately- from the “Dear Black Women, White Gay Men Are Your Allies“ debacle, to criticism of Iggy Azalea and pushback against Katy Perry’s most recent antics. I’m not going to rehash all of that here, because I want to address something different- the classism against working class African American femininity and culture that is embedded in the rhetoric of many black people during conversations about appropriation. What do I think about this image? I think Katy needs to go’on and sit down somewhere. The “not black, just hood” or “not black, just ghetto” train of logic is a fascinating (and oppressive) case of convenient, collective amnesia. All of a sudden cultural phenomena that were clearly developed in black communities, by black people, are “not black, just hood” because class privileged black people don’t identify with them. (Another common reason can be that people don’t know the black origins of a piece of culture because it has been adopted by working class communities of other ethnic groups who often live in close proximity to poor black people in urban areas.) 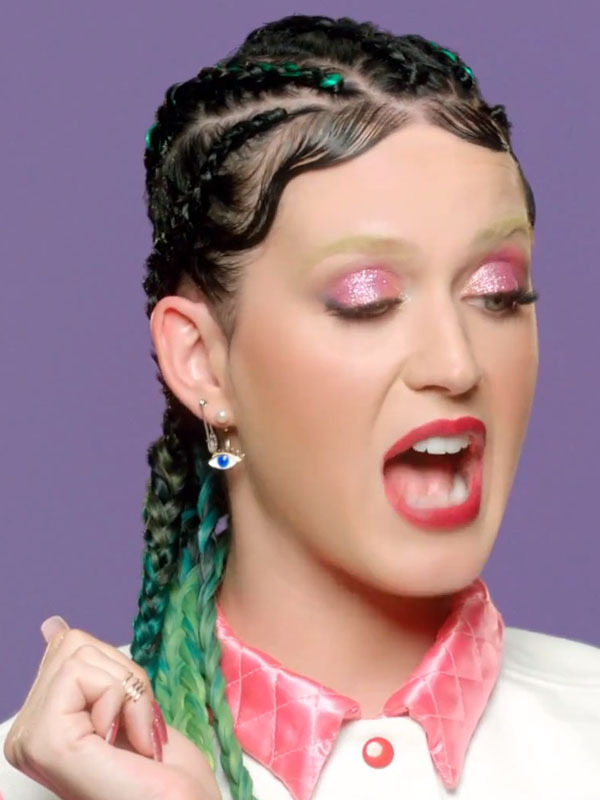 I’ve seen it over and over and over again- colorful cornrows aren’t black? Twerking isn’t black? The grammar of African American Vernacular English, which HAS THE WORDS AFRICAN AMERICAN IN THE NAME, isn’t black? All of these cultural phenomenon are “just hood”? Please, tell me more.